Alexander Barristers Chambers (The Chambers of Lee Gledhill) was set up in early 2007 by a small number of barristers (lawyers) who specialise in medical & regulatory law. Bringing together significant expertise under one roof, Alexander Barristers act for members of unions, professionals from various disciplines, and on instructions from solicitors and members of the public. Our barristers provide legal advice, advice on evidence and procedure, and prepare cases for hearings. They also provide legal representation in courts and tribunals. Some of our barristers provide litigation services too, similar to high street solicitors. All barristers at Alexander Chambers are independent, sole practitioners, who carry professional indemnity insurance for the legal services work they undertake. 'Alexander' from the Greek 'Alexandros', meaning 'defender of the people'. Telephone us in confidence, without obligation, to speak to a barrister about your case; alternatively use our Enquiry Form to contact us. Paula Clements practises in: education law, child and vulnerable adult protection law, medical law, coroners law and regulatory and registrations law. Paula Clements is a leading light in education law, and regularly challenges decisions of schools, univeristies, colleges and other learning establishments, on issues concerning education funding, special educational needs, exclusions from educational establishments, improper selection and admission processes by schools and universities and other educational establishments. Paula Clements writes and lectures on education law. She is author of the leading book on educational law published by Jordans (2007) Special Educational Needs and the Law, along with co-author Simon Oliver. Paula Clements has acted in inquests that have included death from clinical accident or malpractice, deaths road traffic accidents, and other tragic circumstances. She advises local authorities, prisons and the private sector and represents interested parties (including families) during inquests and on appeal or Judicial Review. Paula Clements will advise on court process, evidence, experts, and other coronial law matters. Paula Clements defends nurses before the Nursing and Midwifery Council (NMC), Doctors before Medical Practitioner Tribunal Service (MPTS), the General Medical Council (GMC) Fitness to Practise (FTP) and Interim Orders Proceedings (IOP) Panels, Dentists before the General Dental Council (GDC), Teachers before the General Teaching Council (GTC), Nurseries and Schools in Ofted matters, Social Workers before the General Social Care Council (GSCC), and other professionals before their professional regulators, such as the Health Professions Council (HPC). Paula Clements also undertakes general regulatory law work and advises practitoners on protocols and clinical governance procedures. Paula Clements has a special insterest in clinical practitioner registrations law (for example doctors - GMC: EC EU Registrations Law as applied in the UK, and Overseas (outside EU) applicants for UK Registrations) and medical practioner licensing law. Paula Clements advises overseas doctors on the steps to be taken to apply for registration in the UK. The application process is known to be a complicated one and Paula Clements will advise on the information and evidence needed in order to make an application. Paula Clements will assist with the completion of written documentation and will represent applicants at registraion (appeal) hearings. She will advise on the provisions and interpretation of EU Directives, including EU Directive 2005/36/EC. If you are a doctor or dentist or other overseas registered clinical practitioner, Paula Clements may be able to assist you in obtaining UK registration. Paula Clements undertakes work in the Court of Protection, and advises on mental health issues and on safeguarding adults and children who lack mental capacity (under the Mental Capacity Act 2005, and the Childrens Act 1989). Paula Clements advises local authorities on Serious Case Reviews and will author reports. She will also advise on reputation management and press report handling. 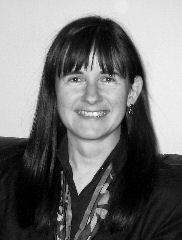 Paula Clements has practised in child protection law for over twenty years. Independent co-authorship of Serious Case Reviews available. Contact us in confidence without obligation on 0845 652 0451 if you would like to speak to Paula Clements about your case. General Medical Council (GMC) Registrations Law Specialist Barrister Paula Clements. and are not affiliated to any union, State body, or regulator. Barristers are regulated by the Bar Standards Board (BSB). The BSB maintains high professional standards and ensures that all barristers carry professional indemnity insurance for the work they undertake, so that consumers are properly protected. A barrister is also known as Counsel. 08456 Calls are charged at local rates on BT lines. Other networks may vary. Many telecoms companies charge a connection fee and then a per minute fee. The Alexander Barristers Chambers website content is for information purposes only and is not legal advice. See our Website Usage Terms and Conditions for details. Get a barrister on your side! Copyright © 2019 Alexander Chambers - Established 2007. All rights reserved. Our Standard Terms Apply to All Solicitor's Instructions. Separate Terms Apply to Direct Access Clients.